Note: ideas expressed by speakers at these meetings are their own, and do not necessarily represent those of the MSSC. Weds January 20, 2016 at 7:00pm, Wildwood School in West LA, 11811 Olympic Boulevard, Los Angeles 90064 (map). Access is on Mississippi (one block north of Olympic) between Westgate and Grandville. Enter the alleyway between Westgate and Grandville on Mississippi and there is covered parking. Today’s semiconductor critical dimension is 14 nanometers and on a typical 1 cm square chip there are as many as 10s of millions of transistors. If there is a mistake or manufacturing problem just finding the fault is exasperatingly difficult, let alone diagnosing and correcting it. But the need is great. Often when a new circuit is introduced as much as half the wafer is unusable. FRIDAY February 5, 2016 at 7:00pm, Wildwood School in West LA, 11811 Olympic Boulevard, Los Angeles 90064 (map). Access is on Mississippi (one block north of Olympic) between Westgate and Grandville.Enter the alleyway between Westgate and Grandville on Mississippi and there is covered parking. Dr. Ford will be in Los Angeles and has kindly offered to present his latest work on the historic Leeuwenhoek Microscopes. Scholars of the microscope accept that there Were nine bequeathed to science by the founder of microbiology, Antony van Leeuwenhoek. We know that one is worth half a million dollars. Yet, against all expectations, three newly discovered examples have come to light. Prof Ford was asked to authenticate two that were discovered within the space of a year. Nothing like this has happened before in the history of science; and today we hear the strange stories that lie behind each one. One has vanished from view; another was claimed to be lost; the third was privately sold for a attraction of its true value. Weds February 17, 2016 at 7:00pm, Wildwood School in West LA, 11811 Olympic Boulevard, Los Angeles 90064 (map). Access is on Mississippi (one block north of Olympic) between Westgate and Grandville.Enter the alleyway between Westgate and Grandville on Mississippi and there is covered parking. Abstract: Still and video photomicrography, using your cell phone with virtually ANY microscope. The first part of the evening will be a lecture and demonstration of the "how-to" of photomicrography using your cell phone camera, including a few tips to help make your photos and video as good as possible. Tom will demonstrate the techniques both hand-held, and using some sort of a support mechanism such as the MiPlatform, and even a couple of hacks to make the MiPlatform even more useful. Tom will compare photos and video taken using a Samsung Galaxy S5 cell phone camera, a Tucsen TrueChrome II dedicated microscope camera, and a Canon 5D Mark II DSLR using the same specimen and the same field, on the same Olympus BH-2 microscope. He will show also a comparison of full HD video on all the cameras versus 4K on the cell phone, and explain a couple of the benefits of 4K over full HD. Lastly, he will show cell phone images taken through different microscopes, including both student and vintage. This will show the range of possible applications, and just how good your results can be. The second part of the evening will be guided, hands-on experience. There will be several microscopes of different types, and at least three of the MiPlatforms available for you to try out. Bring your cell phones. And even your own microscopes if you desire. Bring along students of any age you think might be interested , too. Everyone should come away with better photographs than they might imagine. Weds March 16, 2016 at 7:00pm, Wildwood School in West LA, 11811 Olympic Boulevard, Los Angeles 90064 (map). Access is on Mississippi (one block north of Olympic) between Westgate and Grandville. Enter the alleyway between Westgate and Grandville on Mississippi and there is covered parking. For our March lectureship meeting we are very proud to feature a very accomplished microscopist as well as one of our own MSSC members, Edwin L. Jones. Ed is a retired senior forensic scientist from Ventura County Sheriff’s Department. In 2003, he authored an article titled "Forensic Microscopy" for the McGraw-Hill encyclopedia yearbook. His cases have been featured on TV: in an episode of "Forensic Files" (All That Glitters is Gold) and an episode of "Cold Case Files" (The Clue That Sticks). Ed's talk will give an overview of forensic microscopy including the types of microscopes used in a crime lab and how they are used in casework. Issues relating to biology (sexual assault evidence), material science (fibers, paint, glass, soils, building materials and comparative analysis (firearms and tool marks) will be discussed with examples from Ed's and other historically important cases. The talk will also discuss the following cases: The Shroud of Turin and JFK, the Sweet Tooth Bandit and O.J. Ed recently gave a presentation to the Southern California Society for Microscopy and Microanalysis (SCSMM) and now we are proud to have him share his experiences with us (MSSC). Before retirement Ed Jones was the Senior Scientist (Forensic Scientist III) at the Ventura County Sheriff’s Department. His many duties included the following: as a Criminalist III worked cases involving serological and trace evidence, dry drugs, toolmark identification, crime scenes and basic serology. Also worked cases involving firearms identification and ballistics. Other skills included Professional Microscopy, preparation management and experience with a lab full of materials science apparatus. On top of all of this he was called to educate and train new hires and fellow criminalists. Weds April 20, 2016 at 7:00pm, Wildwood School in West LA, 11811 Olympic Boulevard, Los Angeles 90064 (map). Access is on Mississippi (one block north of Olympic) between Westgate and Grandville. Enter the alleyway between Westgate and Grandville on Mississippi and there is covered parking. For our April lectureship meeting MSSC member, Tom Jones will give a talk on of the common parasites infecting humans both in the U.S. and worldwide, including Malaria, African Sleeping Sickness, Toxoplasmosis, Giardia, Guinea Worm, Elephantiasis and others. 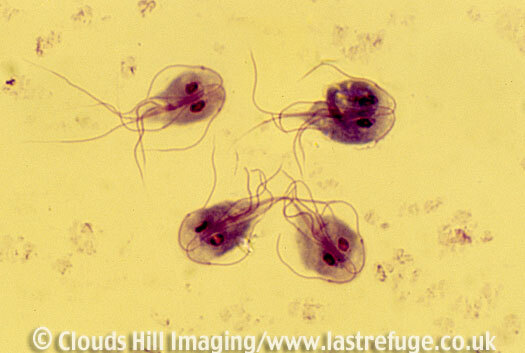 Tom will discuss symptoms, modes of transmission, life cycles and control methods of these parasites. Tom will also discuss some aspects of non-voodoo, biological zombification. The last subject Tom will touch on, while not strictly involving parasites, is Zika Virus and its public health implications. Weds May 18, 2016 at 7:00pm, Wildwood School in West LA, 11811 Olympic Boulevard, Los Angeles 90064 (map). Access is on Mississippi (one block north of Olympic) between Westgate and Grandville. Enter the alleyway between Westgate and Grandville on Mississippi and there is covered parking. The Pond Life program is undoubtedly one of our best attended and most exciting hands-on meetings! This is the event that you bring in your microscope (if you have one) and a samples of pond water obtained from your neighborhood: basically pond water, ditch water, puddles, fountain water or any other natural water samples. If you don’t have a pond source then just come and enjoy the collections brought in by others. We hope to have water samples from all over southern California. This is a fun, hands-on meeting, and one at which we'll hope to see new and exciting discoveries. If you have books or publications that identify Pond Life then do bring those along as well. 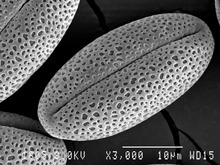 Check out the amoeba to the right, courtesy of www.micrographia.com. Here's a video by Tom Jones showing pond water organisms filmed at the Microscopy Society of Southern California, May 2015, Pond Life Meeting in Santa Monica, CA. The specimen is lake water collected from Lake Gregory, in Crestline, CA., with a 20um pore size plankton net. Two different microscopes were used. The Rotifer is probably Synchaeta sp. and is shown in dark field using an Olympus BH-2, 1.67x projection eyepiece, DCD condenser, mag changer set at 2x, and a DPlan 20x objective. The second and third parts of the video show Stentor sp., also in dark field, using an Olympus SZH Research Stereo Microscope, DF Plan 1x objective, ILLD illuminator base set to dark field, SZH-PT phototube with a 1.67x projection eyepiece. Zoom magnification was set at 64x. A Tucsen TrueChrome II camera at 1080p was used for all parts of the video. Weds June 15, 2016 at 7:00pm, Wildwood School in West LA, 11811 Olympic Boulevard, Los Angeles 90064 (map). Access is on Mississippi (one block north of Olympic) between Westgate and Grandville. Enter the alleyway between Westgate and Grandville on Mississippi and there is covered parking. Speaker: Brian Matsumoto, UCSB (MSSC member). Abstract: Microscope design evolves continuously as manufacturers seek a competitive edge against their rivals. Like evolution, there is a natural selection of those features deemed desirable by the scientist. On the whole, the capabilties of the instruments increase as improved models displace older designs. On occasion, this progression is disrupted by the loss of techniques and features which would appear to be desirable. An example of one such is the Leitz Heine condenser system. The basic condenser provides a convenient way to observe the changing appearance of the subject when different lighting modalities are applied. It provides a direct way to see the changes resulting from brightfield, phase contrast, and darkfield illumination. As a phase contrast system it generates a higher resolution image than the Zernicke style system produced by Zeiss and other companies. It is a flexibile design that can use be used with virtually any manufacturers’ phase objectives. By itself, the basic Heine condenser is a powerful tool, and the Leitz designers engineered an improved model: the color Heine. This condenser is basically two Heine condensers which can project two, independly, variable cones of light. With this one can perform transmitted annular, phase contrast, dichromatic darkfield, and polarized light illumination. In many respects, this design provided the microscopist a universal imaging tool for the study of transparent specimens. In spite of its utility and versatility, this condenser disappeared quickly from the market place. It is believed only three hundred of them were made in one single production run. We have worked with the condenser on a variety of specimens and found it to be invaluable tool. Considering the quality of images generated by its use, it is surprising that so few condensers were made. Weds July 20, 2016 at 7:00pm, Wildwood School in West LA, 11811 Olympic Boulevard, Los Angeles 90064 (map). Access is on Mississippi (one block north of Olympic) between Westgate and Grandville.Enter the alleyway between Westgate and Grandville on Mississippi and there is covered parking. Speaker: Haowen Ruan, Postdoctoral researcher, Biophotonics Lab, Caltech. Abstract: Biological tissue is optically turbid in general, meaning that it is difficult to see deep into it with optical approaches alone. Some microscopy techniques, like two-photon microscopy and confocal microscopy, filter out the scattered photons to achieve a working distance on the order of an optical mean free path, which is about a millimeter in typical biological tissue. To break through the ballistic photon regime, optical wavefront shaping technique has been developed to harness the seemingly random by deterministic scattered photons rather than filter them out. This technique learns the way the photons are scattered by the sample and tailors an optical wavefront that can undo the optical scattering. I will present the recent development of this technique and show how it enables microscopy to image deeper inside biological tissue. Weds, August 17, 2016 at 7:00pm, Wildwood School in West LA, 11811 Olympic Boulevard, Los Angeles 90064 (map). Access is on Mississippi (one block north of Olympic) between Westgate and Grandville. Enter the alleyway between Westgate and Grandville on Mississippi and there is covered parking. Abstract: The first direct detections of gravitational waves in late 2015 were made possible by a forty year experimental campaign to design, build, and operate LIGO, the Laser Interferometer Gravitational-wave Observatory. These detections were remarkable in that they were the first ever direct measurements of gravitational waves and the first observations of two black holes merging to form a new larger black hole. In this talk, I’ll cover the remarkable technology behind the interferometers that made the detections as well as the detections and their astrophysical implications. Generally, I hope to convey how amazing this discovery is and what it tells us about the cosmos. The video on the right is from an earlier talk he gave to the Los Angeles World Affairs Council. Weds, September 21, 2016 at 7:00pm, Wildwood School in West LA, 11811 Olympic Boulevard, Los Angeles 90064 (map). Access is on Mississippi (one block north of Olympic) between Westgate and Grandville. Enter the alleyway between Westgate and Grandville on Mississippi and there is covered parking. This year our annual Sale and Trade meeting will be in September instead of October. This will be the annual Trade and Sales meeting. Bring microscope related equipment and supplies to sell or trade. Or just come and see if there is something on the tables that you have been looking for or something you just must have. If you need a nice microscope for the grandkids, this is your chance to snag one for almost nothing. Weds October 19, 2016 at 7:00pm, Wildwood School in West LA, 11811 Olympic Boulevard, Los Angeles 90064 (map). Access is on Mississippi (one block north of Olympic) between Westgate and Grandville. Enter the alleyway between Westgate and Grandville on Mississippi and there is covered parking. This program will be quite different from anything we have ever done before. Rather then a regular speaker this will be an artist session, with live music accompanying the projection of chemical art (photomicrographs) obtained through the microscope. Students from Wildwood School are also invited. This will be a musical and visual performance by father and daughter John and Erin Schneider, and grandfather Robert Forrester. Improvisation on microtonal organ and adapted viola to microscopic images of chemicals taken from the 1960s-1990s. Robert (Bill) Forrester was a member of our Society back in the 1970's, and perfected the art of Crystal Photomicrography as a form of personal art work. He was friends with microscopy fellows like Bill Sokol and John Chesluk. No one in today's MSSC has seen these images, as Mr. Forrester stopped attending meetings in the late 1970's. Past performances have been at the following institutions: Ave 50 Studio, The Brandt Museum, Santa Monica Museum of Art, HM157, Hyperion Tavern. As many know, November is MSSC's annual Exhibition meeting, when members bring something that can be set up at the table and experienced by others. As inspiration for the exhibition meeting in November, MSSC's president, Jim Solliday, will give a brief presentation about The Quekett Club in the UK. You will see how the Quekett Club works, and get a good feel for what other microscope societies do to motivate their members. The Quekett Club was one of the groups that inspired the creation of MSSC. Weds November 16, 2016 at 7:00pm, Wildwood School in West LA, 11811 Olympic Boulevard, Los Angeles 90064 (map). Access is on Mississippi (one block north of Olympic) between Westgate and Grandville. Enter the alleyway between Westgate and Grandville on Mississippi and there is covered parking. This is the annual Exhibition Meeting of the Society. This is one of the best events of the year and is a great deal of fun. Each member is encouraged to bring along an exhibit to share. Anything associated with microscopic subjects is welcome. Your exhibit could be simple, for example you could set up your microscope with your favorite slide. A projector will be provided for those bringing 35mm slides. Posters and display boards are also encouraged, along with the usual sales table. Please remember to bring a label or piece of paper with a brief description of your exhibit. Come and celebrate the completion of another wonderful year with fellow MSSC members. Dinner cost $10-20, bring cash. All members and their guests welcome. RSVPs to MSSC President required.